This contest is now closed. Check back soon for our next giveaway! 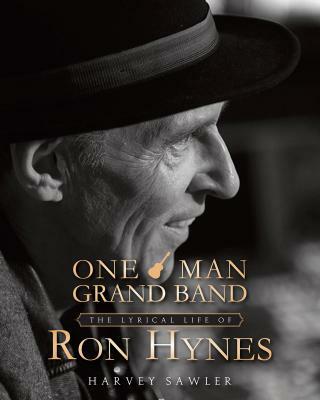 We're giving away a copy of the book One Man Grand Band, the lyrical lifeof Ron Hynes to one lucky person. Written by Harvey Sawler, this book traces the life of the latesinger/songwriter Ron Hynes through interviews with people who knew him well. What caption goes in the second cartoon? Use your imagination. There is no incorrect answer. Have fun. Fill out the form below to submit your response. 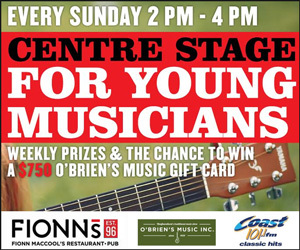 If we use it in our magazine, you win 25 Downhome Dollars Dinah Wood of St. John's wins 25 Downhome Dollars for quoting the fortune teller. In every issue of Downhome magazine, you can find Corky the Sly Conner hiding somewhere in the photos, images or text. Each month, we will draw one winner for our Find Corky contest and the winner will receive a coupon worth 25 Downhome Dollars redeemable at our store, on our website or through our mail order services. 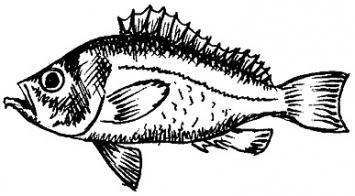 Send your reply to: Corky Contest43 James Lane, St. John's, NL A1E 3H3e-mail: editorial@downhomelife.com Deadline for replies is the end of each month.